Mr. Shipley's Donut, and Mrs. Hurley’s Fried Pies. It is not uncommon for your senses to promote a memory recall. The other day I recognized a taste that reminded me of Houston’s Mrs. Hurley’s Fried Pies – a memory from before 1944. As kids we would congregate at a corner until we had just enough time to walk to Travis Elementary School and not be late. I think that was my first awareness of the "herd mentality." 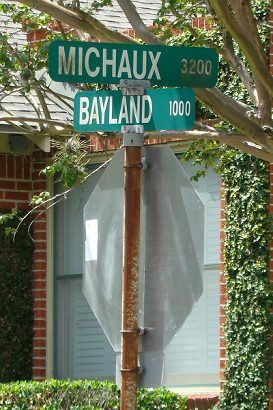 Our path to school would sometimes change, but it always included about six blocks on Bayland, Highland or Woodland. All were parallel streets leading to the school. Mrs. Hurley’s house was on one of those streets and sometimes those of us who had a few nickels would buy one of her pies. I think she only made apple and peach, but they were both delicious. I recall they were packaged in glassine envelopes that were hand-stamped with her name. Sometimes my mother would make fried pies just like Mrs. Hurley. Mom would use a syrup bucket lid to cut the pie crust in a circle about a five-inch in diameter. She put a couple of spoons of cooked fruit filling near the middle and folded it in half, forming a semi-circle. Then, using a fork, she’d seal the filling inside. Meanwhile, she had heated a skillet of shortening where she fried the crust. 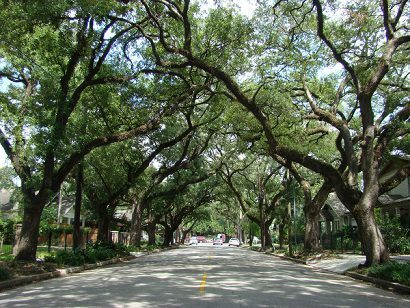 After my schooling at Travis was completed, my walk to Hogg Junior High was on the same streets, but in the opposite direction. I had a Chronicle delivery route that included the three previously mentioned streets. I remember how, in those days before air conditioning, everyone’s windows were kept open. One afternoon in 1944 as I delivered my papers, I could hear what was on everyone's radio as I peddled by. The radio was announcing that President Roosevelt had died. The only President I had known. It created an indelible time marker in my life. About this time a family named Shipley moved into a house on Euclid near the corner of Michaux. 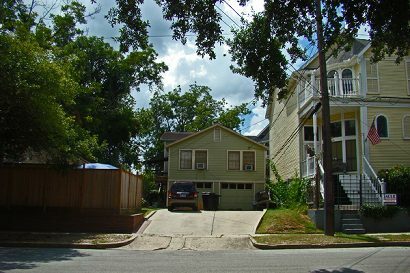 A garage apartment's concrete driveway was once the front of Mr. Shipley’s first store. As it happened, Wolfe Cleaners on Michaux moved to a building on Studewood. The small storefront that had been the cleaners was remodeled by Mr. Shipley into a donut shop. Occasionally I would be sent to Mr. Shipley’s to buy donuts for our family. Mr. Shipley always worked by himself. Donuts were five cents apiece or .50 for a dozen. If I ordered a dozen, he would make them right in front of me. I enjoyed watching him use a cookie cutter-like device to cut out the dough one at a time – and then flipping them onto the fingers of his other hand. After filling a perforated tray, he floated the donuts in the hot grease, turning each with a wooden stick. He would then remove the tray of donuts to drain and finally, dip them into the glaze. Today a garage apartment has replaced that small store. 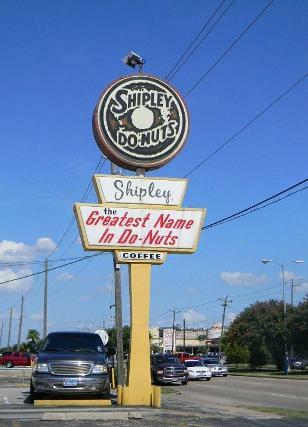 It is sad that the humble building where Mr. Shipley started his donut empire now only exists in my memory. Mrs. Hurley and Mr. Shipley were entrepreneurs using what they had to get what they wanted – personal security. They had faith in their own means of surviving as their lives met their own personal crossroads. As a child I was privileged to witness these and other ordinary people, some of them accomplishing extraordinary things. Today once again many people are unemployed or underemployed. They, too, will have to develop faith in their own means of surviving.